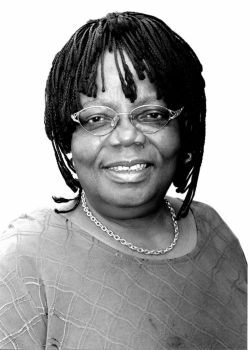 Through her personal struggles and exceptional writing abilities, Florence Onye Buchi Emecheta has constructed a collection of literary works that reflect the lives of African women. Emecheta was born on July 21, 1944 in Yaba, Nigeria into a family with strong ties to their cultural traditions. Although both of her parents died early on in her childhood, they had already demonstrated to their daughter the art of storytelling. After their deaths, Emecheta’s aunt began to shape her literary imagination and writing style. After earning a scholarship Emecheta graduated from the Methodist girls’ high school in Lagos. When she was unable to attend the The University of Ibadan (UI), she married Sylvester Onwordi in 1960, at the age of 16. After working for the American Embassy in Lagos for two years and bearing two children, she followed her husband to London, UK. Within the next few years, she gave birth to three more children while supporting the family financially. She began to write in her spare time. In 1966, after her husband burned her first novel, Emecheta left him and began supporting herself by working at the British Museum’s library. She then obtained a job at the New Statesman writing a column for the magazine which served as the foundation for her first novel, In the Ditch (1972). In 1974, the same year she received a degree in sociology from the University of London, Emecheta released Second-Class Citizen. These two novels, which reflected her own personal experiences of poverty, motherhood, and immigration as well as the socioeconomic problems of Africans, would be republished together in 1983 as Adah’s Story. Emecheta continued writing while working as a sociologist and youth worker. In 1976 she wrote two plays for the BBC: The Ju Ju Landlord, published as The Bride Price that same year, and A King of Marriage, which was reworked into a novel a decade later. In 1977, she wrote The Slave Girl which argued the similarity of marriage and slavery. That novel earned her the Jock Campbell Award for literature for Commonwealth Writers in 1978. Emecheta’s most well-known novel, The Joys of Motherhood (1979), addressed the widespread belief that African women can only gain importance through bearing a son. Beginning in the late 1970s Emecheta was a frequent visiting professor in the United States as well as a Professor of Literature at the University of Calabar in eastern Nigeria. During this time she also began to publish children’s books and literary works for young adults. In 1982 she established Ogwugwu Afor, a publishing company focused on African literature, and two years later published her autobiography, Head Above Water. She shortly returned to writing fiction. In 1992, Emecheta was awarded an honorary doctorate of literature degree from Farleigh Dickinson University in Madison, New Jersey. To date she has published 16 works of fiction and non-fiction. Although her writing has stirred much controversy among African readers and critics, American and European critics regard Emecheta as one of Africa’s most eloquent feminists. Buchi Emecheta lives in Nigeria and England and is a member of the Arts Council of Great Britain. Authors and Artists for Young Adults, Vol. 67, Buchi Emecheta (Thomson Gale, 2006), reproduced in Biography Resource Center (Farmington Hills, Mich.: Gale, 2010), http://galenet.galegroup.com/servlet/BioRC; Buchi Emecheta, Head Above Water (Ibuza, Nigeria: Ogwugwu Afor, 1984); Kwame Anthony Appiah & Henry Louis Gates, Africana: The Encyclopedia of the African and African American Experience (New York: Basic Civitas Books, 1999); Paula C. Barnes in Magill’s Survey of World Literature, Revised Edition, Buchi Emecheta (Salem Press, 2009).